COLUMBUS – This morning, the Ohio Department of Jobs and Family Services released the August jobs report and revised July figures for Ohio. 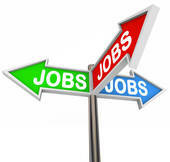 After losing nearly 3,000 jobs in May, the revised July figure showed Ohio lost 8,600 jobs. Ohio Gov. 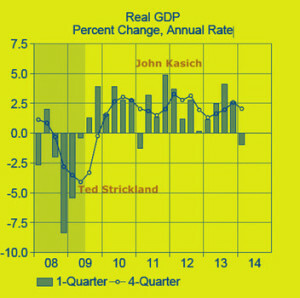 John Kasich has a remarkably selective memory, especially when it comes to when Ohio’s recovery from the worst recession in the nation’s history really started, which a monthly financial report issued by his own budget director shows started in early 2009, nearly two years before he was sworn-in as Ohio’s 69th Governor in early January of 2011.